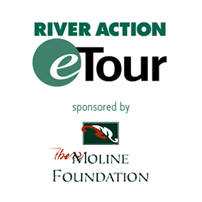 About River Action | River Action, Inc.
River Action strives to foster the environmental, economic, and cultural vitality of the Mississippi River and its riverfront in the Quad City region. Collaborating and partnering with people who appreciate and understand the importance of the Mississippi River and its place within the Quad Cities region. Advocating for the protection and enjoyment of the Mississippi River for people within the Quad Cities region. 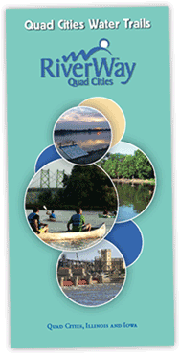 Developing and presenting programs, activities and projects that positively impact the people of the Quad Cities region and provide opportunities to enjoy the Mississippi River. Educating people in the Quad Cities region about the history, environmental impact and uniqueness of the Mississippi River. Respecting the natural beauty and magnificence of the Mississippi River and recognizing those people who share this respect within the Quad Cities region. Establish a communications and branding policy to provide information about River Action activities, programs and events to various audiences. Implement a marketing and branding plan through the marketing committee. Review/update website, Facebook page and other social media outlets and explore ways in which social media can be used to enhance awareness and promotion of River Action programs. Create and provide quarterly status reports on River Action activities for funders and other interested parties. Review current programs, activities and events to determine value relative to the organization's mission. Collect and analyze data on attendance, revenue, expenses and staff/volunteer time for producing each program, activity or event. Expand collaborative relationships with educational institutions and community groups with an emphasis on outreach to all educational levels and with the intent of engaging people of all ages. Continue efforts to expand funding in support of organizational functions. Implement methods for expanding corporate/business support. Monitor information sources for potential federal, state and local funding opportunities. Examine organizational characteristics to address long term physical and productivity needs. Review office space needs, layout, technology and location. Develop succession plan for replacing Executive Director.